Marital arts master Bruce Lee had his famous one-inch punch technique. He knew that putting all of your weight and energy into one inch of movement had far more power than moving your arm one foot. The secret to a perfect punch is not speed or distance, but how much weight you put into your punch. A good knock-out punch involves not just your arm and fist, but a continuous flow of energy from foot to fist. 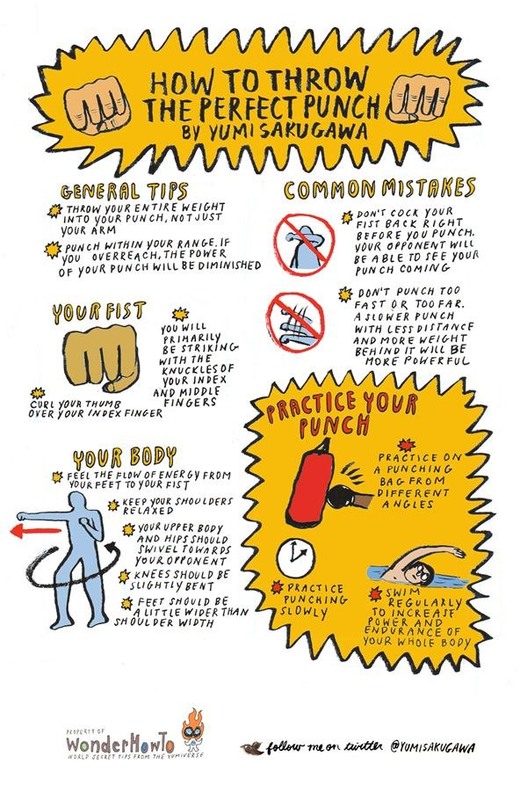 To practice your punch, train yourself with a punching bag and exercise your entire body, not just your arms. Got your own tips for adding more punch to your punch? Share with us in the tips below. Can you make an article about how to throw a perfect kick? I'm just asking. I can definitely add that to my list of ideas! Thanks. Also... Imagine you are trying to hit a person behind them. That will allow you to put your full body weight into it.